Choose aÂ language on the left side that you want your own extension to match (i.e. 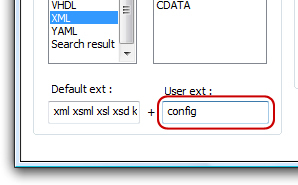 if I want .config files to style like XML then I’d choose XML). In the User ext. field near the bottom, enter in your custom user extension without the dot in front of it (e.g. config for *.config files). Now restart Notepad++ and it will map that new extension to the style you’ve chosen. If you use FileZilla as an FTP client and you use version control such as SVN or CVS, you may notice that you actually FTP those meta folders (“.svn” and “cvs”) along with your real data files. Those version control folders are not meant to be tranferred over with your real data and it can be a pain to delete all of them on the remote server. Not to mention, depending on who has access to the server, those files can give the user access to the repository and therefore they pose a security risk. FileZilla offers a really nice option to ignore those folder so you no longer even see them nor do you transfer them over with your files. 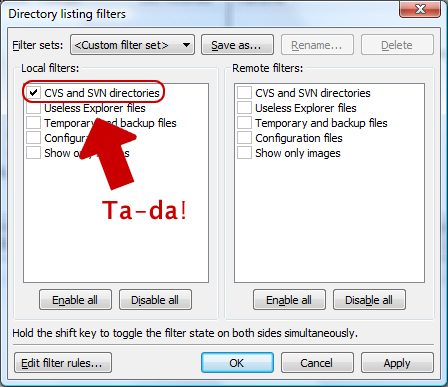 Just check the CVS and SVN directories option and FileZilla will no longer display those. Have you ever had the tedious task of copying a friends music library or moving the entire contents of one hard drive to another? In pretty much any situation where you need to move or copy a lot of data you are burdened with a fair amount of wait time. Using Windows Explorer to move files around is quite a task and doing it on an OS like Vista can really use up your time. Do yourself a favor and immediately download a copy of free TeraCopy. Get yourself the portable verison so you have this time saver anywhere you go. TeraCopy will move or copy files for you but at a much faster rate than Windows Explorer and it has many other additional features. 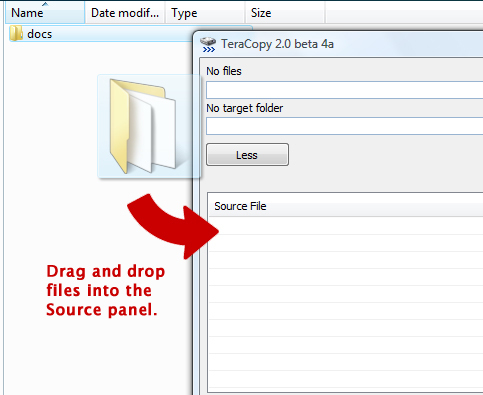 TeraCopy integrates into the Explorer shell and even has a pause/resume copying feature. That’s all there is to it — TeraCopy will copy the files to your destination and show a progress meter. Have you ever customized the sort order, view style (e.g. 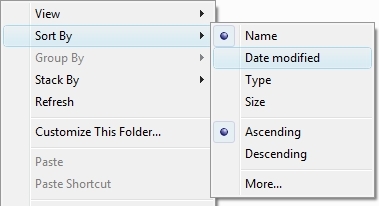 List, Small Icons) or windows size of a folder and had those settings vanish? Then you have to go back in and change them again only to have them randomly disappear in the near future. This is a common problem I have with the sort order of my music folder. Sometimes I like the music to be sorted alphabetically (default); but sometimes I like to see the newest music and sort by Date modified. Unfortunately, just about every time I un-mount and re-mount my hard drive, my custom sort its gone. This is easily fixed by a simple little registry trick, so roll up your sleeves and open regedit (Start > Run > “regedit”). Hit enter to save the name then double-click it and choose the Base as Decimal set the value to 10000.